Available in Medium, Large, or a complete set with both! Your dorm room is going to lack dorm room storage space and there will always be items that you're going to have a hard time finding a home for. 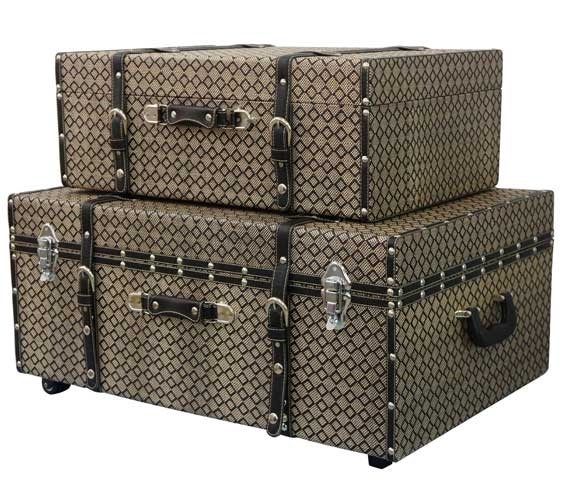 You may think adding more dorm room storage solutions will take up more valuable dorm room space and not help you. However, the opposite is true because when you add simple, compact dorm room storage to your college dorm room you will find it creates more space and organization for you and most importantly, a home for all those dorm items you have no idea where to store. 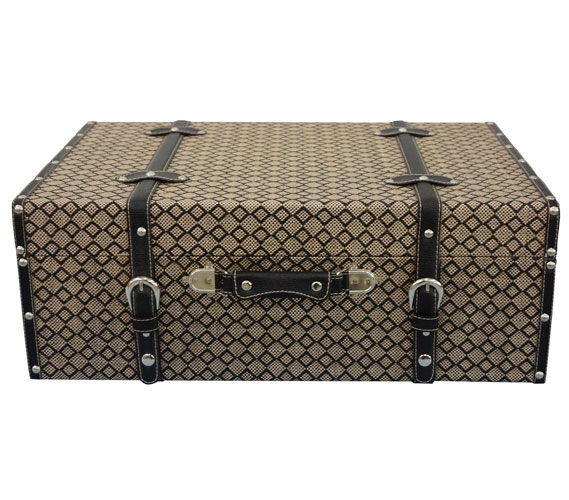 A dorm room trunk is a dorm essential that you can easily store extra or seasonal clothes or sports equipment in. However, you are not limited to just those dorm items because you can easily store anything and everything in our college storage trunk! 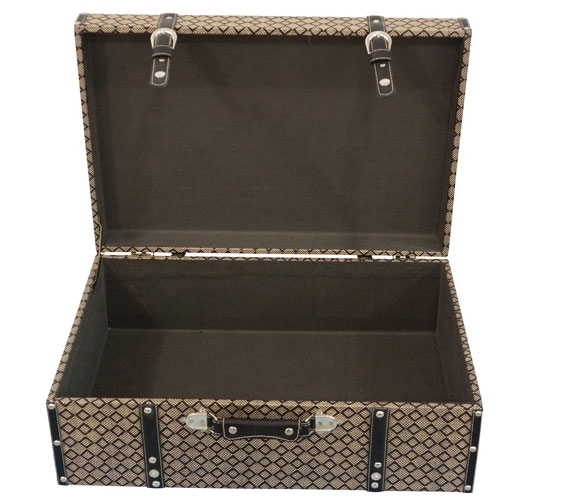 Our Large Black Almond Texture® - Collegiate Trunk has handles and two wheels to make pulling the dorm trunk easier while the medium size has a handle for easy carry. 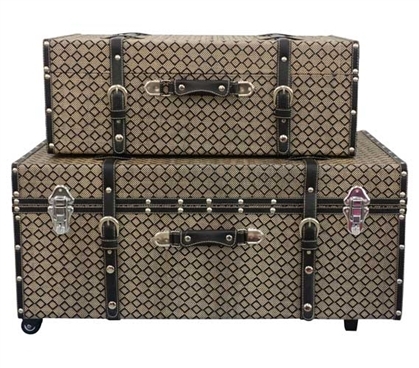 You can add both for extra dorm room storage or get just the amount you need by adding either a medium or large dorm trunk. 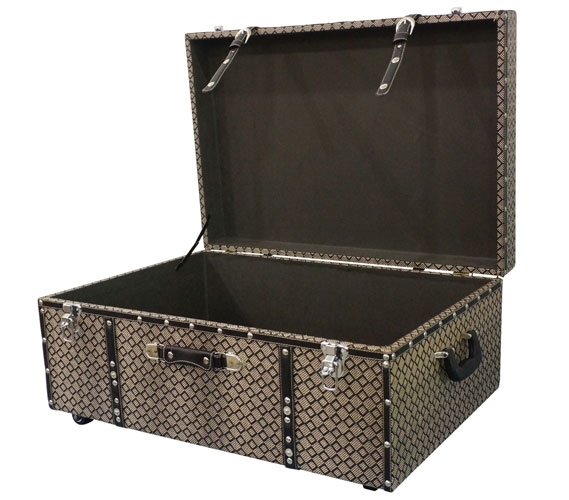 College safety is also a concern and our Large Collegiate Dorm Trunk has the ability to be locked to protect your valuable dorm items. 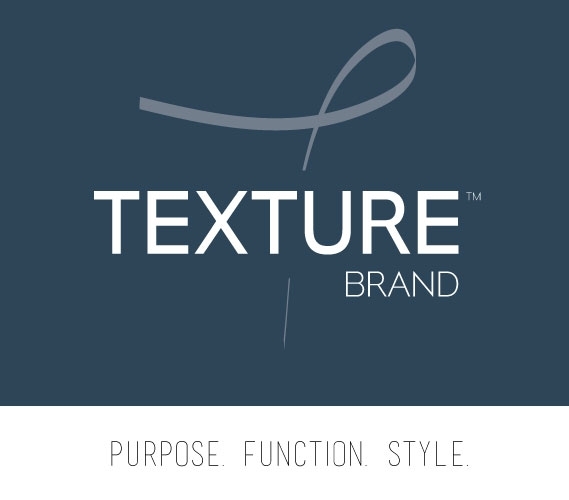 Our Black Almond Texture® - Collegiate Trunk has a beautiful lace-like black and soft beige design that will be a gorgeous addition to your dorm room decor. 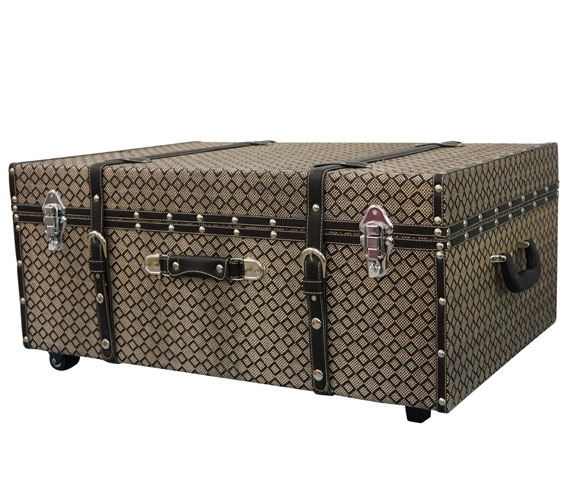 Our Black Almond Texture® - Collegiate Trunk not only adds extra dorm room storage, it also adds to your dorm room decor! 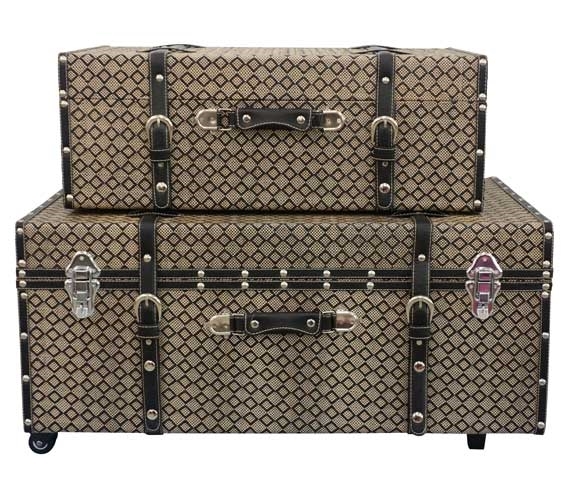 You can also use your Collegiate Dorm Trunk to pack your dorm items in to move without having to use extra boxes and bags that will take up valuable space!